Sick of hitting every LA beach over and over and over and over and over and over and over again? Thought so: here are nine not-LA beaches that are 1) all great day trips, and 2) anywhere from 45 minutes to 3.5 hours away. 1. The Hermosa Beach Pier is riddled with food, bars, people, and amazing weather. It’s quite a long pier, so it makes for a great walk, especially if you’re full of beer and burgers. 2. The Bloody Marys at Hennessey’s Tavern come with bacon. Any questions? 3. See some comedy and some magic at the... Comedy & Magic Club. Tickets are cheap, and the place regularly has major comics pop in, including Jay Leno, who still does a set every Sunday. Why it made our list: Because everybody needs more ferry rides in their life. 1. Check out the Inn on Mt. Ada. It’s the former home of the Wrigley family, which has since been turned into a quaint B&B with some of the friendliest staff you’ll ever encounter. They’ll give you access to their wine, beer, sodas, Champagne, root beer floats, fruit, hard liquor, golf carts... the list goes on and on. 2. 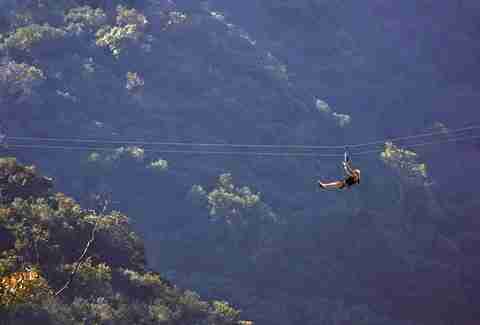 Zip line at the Catalina Island Zip Line Eco Tour. You end up traveling almost a mile over five lines about 300ft above the canyon floor, stopping at different eco-stations along your journey. 3. Literally, any/all of these things. Why it made our list: Because you wanna be where a lot of Arrested Development was shot. 1. Take the ferry to Balboa Island, and go whale watching. If you’re a soulless monster who hates whales, you can also spend the day walking around the town -- it’s packed with spots for ice cream, great eats, and awesome sunsets. 2. Check out the insane waves at The Wedge. If you surf, you’ll love it. If you don’t surf, you’ll still love it. If there’s a storm you should go either way, ‘cause the surfers go all Point Break and still ride ‘em. 3. 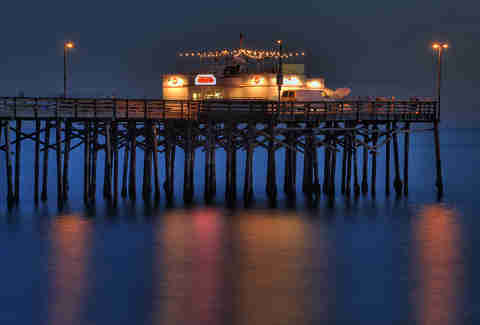 Get weird at some of the many bars and restaurants by the Newport Pier. And say wassup to the seals, ‘cause there are tons. Why it made our list: Because technically it’s not LA anymore. 1. Rent a Jet Ski at Channel Islands Harbor, and impress everybody that looks at you. 2. Go crazy at the Ventura County Fair. The only thing better than a county fair? A county fair with ocean air. 3. Backpack your way through the Channel Islands with Island Packers. They offer tons of Channel Islands adventure options, including camping, whale watching, boat rides, and water sports. 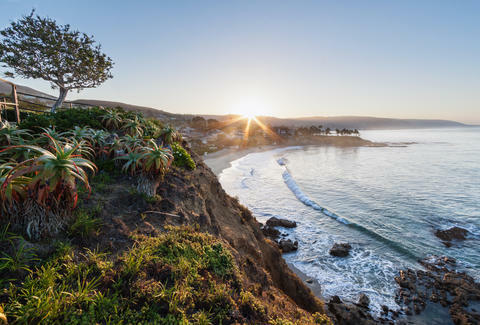 Why it made our list: Because you want to see some of the most pristine beaches in Southern California. 1. Take the half-mile walk on the bluffs in Heisler Park. The ocean views are bonkers, and there are generally lots of air painters being amazing at their job. Also, there are dolphins, and if you’re a human being with a heart, you love dolphins. 2. Stand in awe of the rock formation/insane sunset combo meal that Crystal Cove State Park dishes out. The reflections of the sun on the water/sea foam will turn you into the Double Rainbow guy. 3. Check out Southern California’s best hidden blowhole -- and dive into it (with a lifeguard spotter!). You’ll get sucked through the rock opening and pushed out into the ocean. Yep. It’s rad. Why it made our list: Because you’re wondering if SB has more to offer than insane Halloweens. 1. 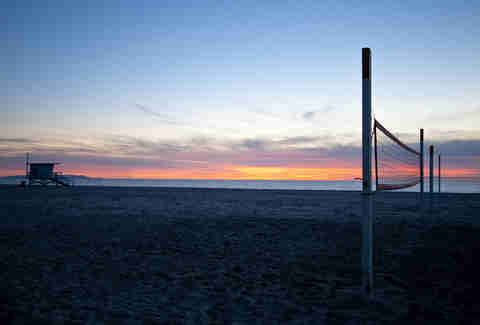 The only thing better than a beach? A dog beach. 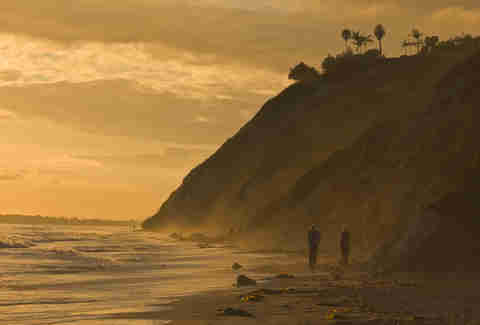 Arroyo Burro Beach is a dog lover’s paradise. Go for the dogs, stay for the mind-blowing sunsets. Why it made our list: Because you want the weather and mellow vibes of a San Diego beach without actually going all the way to San Diego. 1. 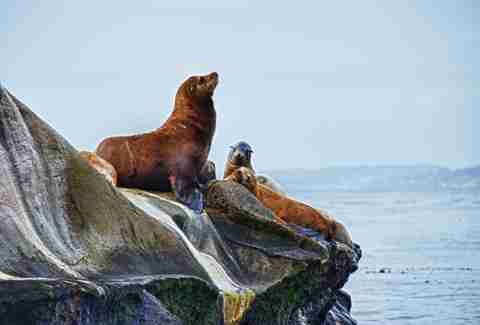 You like sea lions? And kayaking??? Plus also sunsets?????? And and and pelicans?????????? (Wait, why do you like pelicans so much?) La Jolla Cove has you covered. 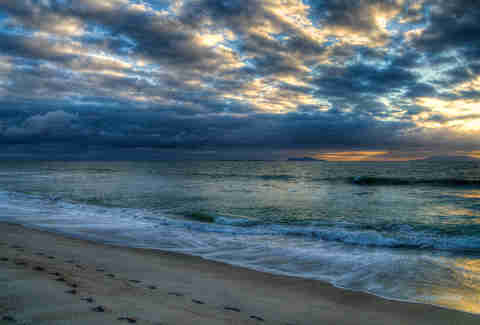 The weather is always amazing, and it’s a fantastic place to relax. 2. Go hang-gliding at Torrey Pines Gliderport. Errybody wants to jump off a cliff and not die, so here’s your chance. PS: you can do it at sunset. Yep. 3. Order every single thing on the menu at Oscar’s Mexican Seafood. Grilled octopus tacos? Check. Spicy shrimp, scallop, and smoked fish tortas? Triple check. Bluefin tuna ceviche? All. The. Checks. Why it made our list: Because you’re tryna have a bunch of nightmares. 1. Check out the actual Salton Sea. In the ‘50s, the salt levels rose so much that it killed almost all of the fish -- there’s only one fish that is actually able to live in the lake. As a result, the beach is filled with fish bones everywhere you look. It’s maximum terrifying. 2. 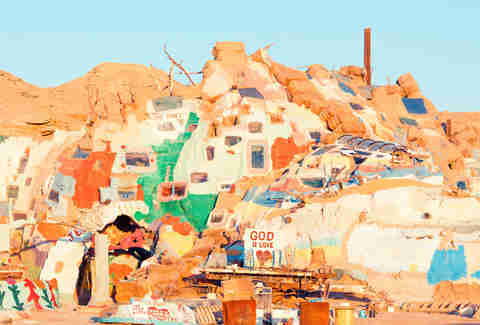 Feel like you’re going insane at Salvation Mountain. It’s a crazy hodgepodge of desert art, and the actual mountain can be climbed if you stay on the yellow brick road. Not a euphemism, actual directions. 3. Be all like, “Oh what the hell?” at the many bubbling mud pots. Salton Sea’s proximity to the San Andreas Fault line causes these mud pots to bubble and gurgle, and they’re pretty much the closest thing we have to the sarlacc. Why it made our list: Because everybody that lives there looks like a supermodel. 1. Do every single one of these secret things in Paso Robles. 2. Get a bunch of beers at SLO Brewing Company. Actually, get some food, too: a grilled cheese with two types of cheese, apple, and honey on sourdough sounds good, right? 3. 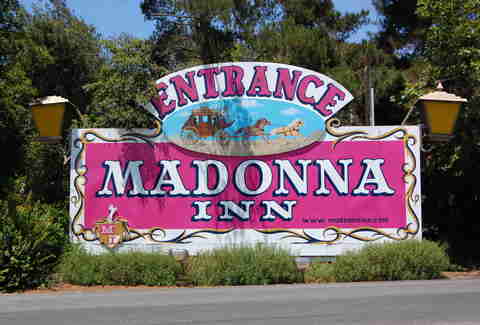 Stay at the world-famous Madonna Inn. The rooms are all themed, and who doesn’t want to sleep in a bed that looks like the "bring out your dead" cart from Holy Grail? Also, the men’s urinals have movement-sensor waterfalls. Wilder Shaw is a regular Thrillist contributor who has definitely party bus’d his way through a wine tasting in Paso Robles. Call him out on his nonexistent wine knowledge on Twitter at @WilderShaw and Instagram at @wildershaw.